Join over 30,000 Influencers & Creators receiving weekly opportunities for free samples, paid posts, discounts & more! Get your blog and social profiles in front of relevant brands and build a working relationship. Give your followers access to early products, discounts and giveaways. Find other great blogs to partner with. 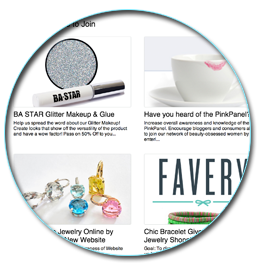 Receive samples of new products to review and show off to your readers, friends and followers. Earn money promoting great brands. Set your rates and get paid per post not per click. Receive a feed of opportunities in your dashboard. 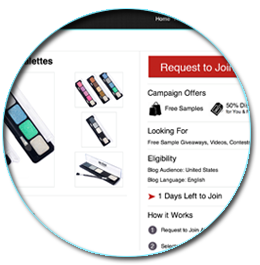 Opportunity types include free samples, paid posts, discounts & early access. Apply to campaigns you're interested in. Brands then review applications and choose influencers to work with. Once accepted, you create content and submit it for brand review. Once approved, you publish your content and share with friends. We work with innovative companies and agencies across Beauty, Womens Apparel, Skincare, Footwear, Food, Health, Accessories, Menswear, Travel, DIY & more. Over 30,000 Influencers use BrandBacker to receive new opportunities. 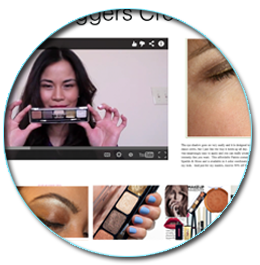 Our influencer categories include Beauty, Women's Fashion, Mommy, Menswear, Lifestyle, Food, Travel & many more! Influencers of all shapes and sizes from all over the world are welcome to apply.